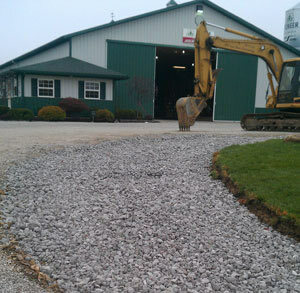 Art and Sons Excavating, Serving Kosciusko County, Indiana and the surrounding lakes area. Welcome to Art and Sons Excavating. Kosciusko county's first name in excavating and septic installation. Our mission is to be number one in customer satisfaction and care for your property. Our pricing is fair and honest with no hidden charges. We will take the time to answer all questions and concerns and complete the job with attention to detail and be on budget. 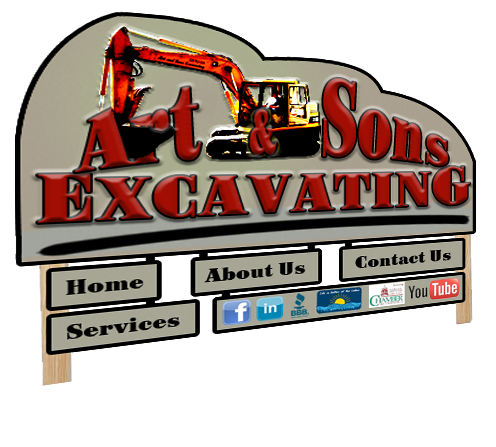 Art and Sons Excavating provides a wide range of services including general excavating, septic system design, installation and repair, sewer taps, fence row clearing and clean up, farm drainage, water shedding, demolition to trucking and driveway installation. No job is too big or small. Give us a call at 574.453.3029 for a free estimate. Thank you for the terrific job you guys did on the new driveway! It works out great for us! We've had numerous compliments on how nice of a job you guys did! Commercial and Residential Excavating | Septic Systems | Sewer and Water hookup and replacement.